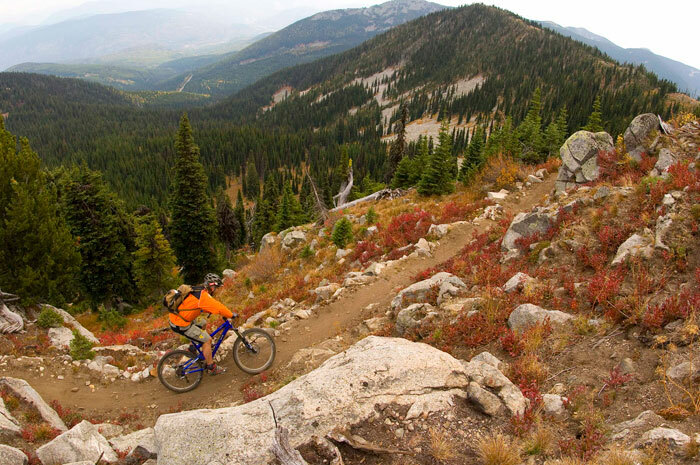 As the mountain bike capital of Canada, Rossland is a two wheelers dream with 32 official trails covering over 170kms within the city limits, many trail heads an easy pedal from Rossland's historic downtown main street. With many trailheads accessible within a short pedal of downtown Rossland the 117km trail network covers the hills and mountains surrounding Rossland extending through the Rossland Range out to Nancy Greene Pass. All trailheads are located less than half an hour from Rossland’s center. Only a ten minute drive north of the Canada/US Border, a 2.5 hour drive from Spokane International Airport (Washington State) and 3.5 hour drive from Kelowna International Airport. Rossland is easily accessible from major airports in both Canada and the United States. The regional airport of Trail is a 20 minute drive north-east, and the Castlegar airport is a 30 minute drive north. As Canada's second highest elevation city at 1,023 meters Rossland receives over 2,000 hours of sunshine a year as it often sits above the clouds and valley fog. Situated in a natural alpine amphitheatre surrounded by the mountains of the Rossland range windy days are rare. Average summer temperatures are 25 C high and 11 C low.